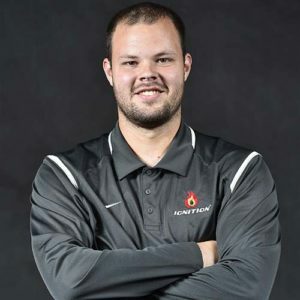 Brandon is in first year as a Performance Specialist for Ignition APG. Through Ignition’s partnership, Ray serves as the Head Strength Coach for Beechwood High School overseeing all grade levels. Prior to Ignition, Ray completed strength and conditioning internships with Xavier University and University of Cincinnati. Ray played four years of baseball at Asbury University where he graduated with his Bachelor’s degree in Exercise Science. Brandon also holds his Ignition Speed Certification.